Yesterday, a Valentine's Day, was the 5th anniversary since my father's passing. (It was 15th in Japan time). So, just like the past years, I had (indescribable) strange feelings all day. I thought Jason was going to take me out to sushi or something for the Valentine's night, but he emailed me later in the afternoon and said he would be working until very late (he was apologetic and said he would make up for it this weekend). So, I just fixed myself a nice vegetable donabe dinner. I actually had no idea what I was going to make until I stood in the kitchen. But, I got nicely inspired as soon as I saw what were available in the fridge. I cut one gobo and sauteed with ginger and garlic in sesame oil. 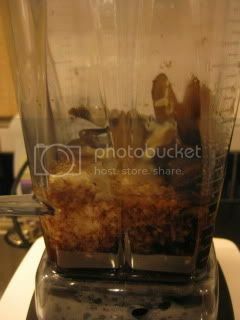 Then, I added 3/4C dashi stock, 2T sake, 2T mirin, 1T honey, and 2T soy sauce. They were simmered for about 15 minutes, then pureed in VitaMix with 2T sesame paste and 2T sake-kasu (sake lees, from our homemade Makgoli). 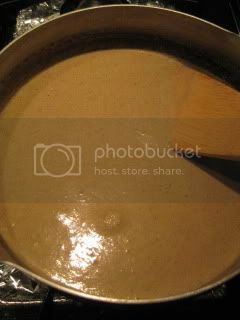 The mixture was transferred back to a pan and brought to simmer with additional 3/4C dashi stock. 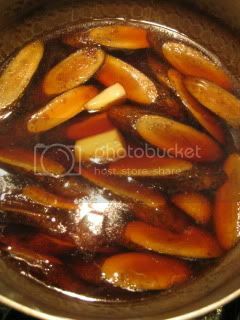 After about 5 minutes, heat was turned off, and 2T black vinegar and 1tsp la-yu were added. 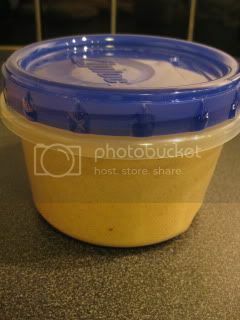 My gobo-sesame sauce was ready...it tasted so natural and amazing. I made a big batch, so I took the amount for tonight in a serving cup, and put the rest in a tight-seal container to store in the fridge. It's going to be great to use for different dishes! 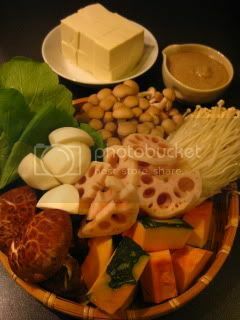 Then, I just got ready the ingredients to steam...lotus root, kabocha, kabu (Tokyo turnip - both bulb and leaves), shimeji mushrooms, enoki mushrooms, shiitake mushrooms and tofu. They were steamed in my donabe steamer, "Mushi Nabe" (lotus and kabocha first, then other ingredients were added according to their optimum cooking times). 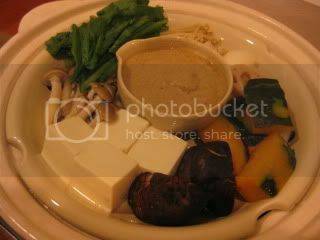 Gobo-sesame sauce was set in the center, so that the sauce is also served hot. The steamed vegetables were really amazing with the steamy gobo-sesame sauce! It was such a wonderful complete meal with all the natural flavors. 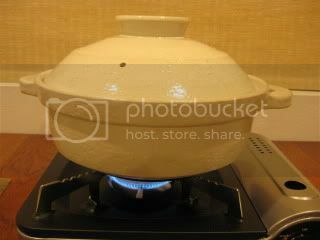 This is why I love "Mushi Nabe", with this donabe steamer, I can truly enjoy such a wide variety of healthy ingredients with full flavors. My solo Valentine night (with dad's spirit) wasn't too bad, thanks to the wonderful donabe meal.